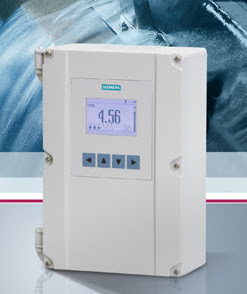 Siemens Process Industries & Drives Division is pleased to bring you the enhanced HydroRanger 200 HMI ultrasonic level controller for measurement in a wide range of industrial applications including water/wastewater monitoring and pumping, inventory management, truck load-outs, and open channel monitoring. Enhancements include faster commissioning with an improved HMI (Human Machine Interface) and graphical Quick Start Wizards as well as a redesigned enclosure with removable terminal blocks and wider communications. 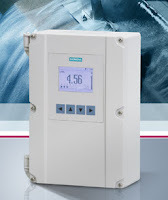 The HydroRanger 200 HMI provides high performance measurement of level, flow, differential level, and volume conversion, with additional alarm and pump control functions. Siemens’ patented Sonic Intelligence signal processing technology differentiates between true and false echoes from obstructions or electrical noise, giving users repeatable, fast, and reliable measurements. Siemens is making it easy for you to see the benefits this instrument has to offer. As a loyal customer, they are offering you a 15% discount toward the purchase of the enhanced HydroRanger(s) 200 HMI version. Call Ives Equipment at 877-768-1600 to place your order. (Offer valid until December 31, 2016).